Do keyword research. Find out and use the keywords your competitors are using. However be careful not to use the same copy. Google will penalise you. Add ‘Why Us’ and ‘About Us’ pages. If you are a small business and perhaps a sole trader, with excellent customer service and ‘local’ for example, these may be the reasons why you’re potential client will use you rather than your competitor. Make a list of how you think your website could be improved upon. The quicker you act on your decisions, the sooner search engines will crawl your website and potentially improve its ranking. See what your competitors and doing and follow their lead. Make sure your site is registered with Google Analytics so that you can monitor your website’s performance. Look for a group online, such as Facebook and ask for an independent review – it’s always good to have different opinions. Search for your services or products online. If your website doesn’t appear on or near page one, you have work to do. Register with Google My Business (used to be Google maps). Once this has been verified (usually via postcard) your business will automatically appear on page one. Link back to your website from all your channels. Both social media and Linkedin are very powerful platforms, and will help to increase your website visits. However you need to be consistently active. Once a new or updated website is complete, ideally it should be updated regularly. The best way to do this is with a blog or news page. Be sure to also add new products or services. If you do this search engines are more likely to crawl your site and bring it higher in search engine results. When you do receive enquiries, you ask where they heard about you? Then you will know if it came via your website. It you’re not getting any enquiries at all, what should you do next? It’s easy to rely on your website and assume that once it is finished, potential clients will come to you automatically. Unfortunately this isn’t the case. Some web designers don’t offer search engine optimisation (SEO). Some basic website packages will assume that you will provide the information. So, be clear on what you need to provide. If your website is an information only resource that’s fine. But if you want potential clients to contact you, you need to ask them to do exactly that. You also need effective wording and formatting so they are encouraged to call you, if of course that’s what you want them to do. 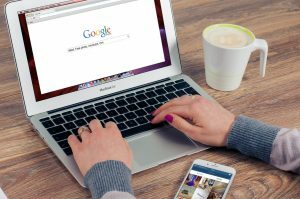 When will my website appear on search engines? This is a common question, without an easy answer. It depends! Don’t expect your website to appear on search engines quickly. It is quite likely that it will take several weeks, if not longer, to crawl and index your website. Your webmaster should submit your finished website to search engines for you. But don’t assume he will do. Always ask! Article by Sue Edwards at SJE Marketing. If you would like to be a guest blogger please contact us.